Vielleicht gleich vorneweg: Die Teilnehmer dieser Podcast-Runde, Christoph Köck (Hessischer VHS-Verband), Karlheinz Pape (Berater Corporate Learning) und Jöran Muuß-Merholz (Moderator, Transferstelle für OER), nehmen sich Zeit für ihr Thema und engen es nicht auf OER, also offene Lehr- und Lernmaterialien, ein. Es geht um Ansatzpunkte für einen anderen, offeneren Umgang mit Lernszenarien und Lernressourcen: Stichworte sind u.a. selbstorganisierte Lerner, Lernen in Communities, OER für Lernende und Ansätze für OER-Initiativen. 1:01:11. There’s often a big disconnect between the training that is delivered and the training that has impact. It’s because training is commissioned by someone who doesn’t take the training like a manager or subject matter expert. What happens is that while the training has all of the right information it doesn’t frame it in a perspective that is true or relevant to the learner; and that’s because the end-user usually doesn’t have a seat at the table when the training is being developed. Here are a few ways to change that. Someone asks you to build the training but it’s usually not the end-user. The client has all sorts of content and it’s your job to figure out what content is appropriate to meet the learning objectives. However, you also have to craft a learning experience that is effective. One way to do that is by spending some time with your learners. Share the content and objectives and then get their feedback. 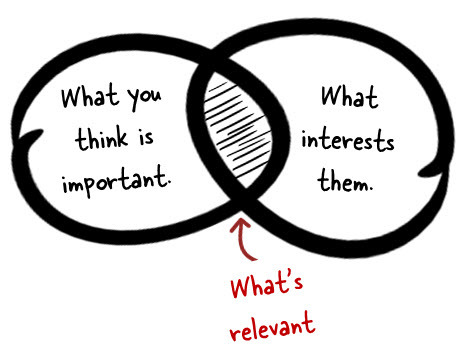 Ask them what content is most meaningful and useful to them. Ask how they’d structure the training. From the conversations with them you’ll get a better sense of what they do and how the course content is relevant to their performance needs. They’ll often give you some really good use cases that can be used for simulations and interactive scenarios. Keep in mind that what the end-user thinks is important isn’t always the priority. Often the organization has regulatory requirements that may not be relevant from a performance perspective but still a requirement for delivered training. They key point is that you’re getting another perspective. Course content doesn’t always address the nuances of real work. That’s why spending time with your learners and seeing how they perform in a real environment is critical for successful training. And you’ll learn things that aren’t addressed by the content. For example, I once built training for a production facility. The new hires had to learn how to operate some large and complex machines. I spend some time on the floor and learned that many were intimidated by the machines. This made it hard for them to learn. Because of this, the first part of their training was to learn the parts of the machine and focus on a lot of preventive maintenance. We wanted them to get their hands on the machine and feel really comfortable with it. It worked because their familiarity with the machines helped them feel comfortable and the end result was that they out performed those who didn’t go through that part of the training. We would never have even considered this part of the training had we not spent time on the floor observing how they did their jobs. 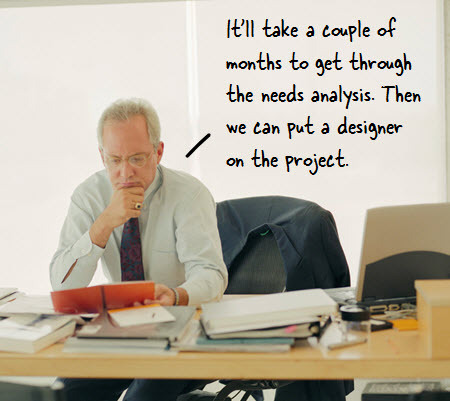 There are additional tips in this post on how to avoid needs analysis paralysis. As you interview your learners build a quick prototype of how the course would work. It doesn’t have to be perfect. I used to use PowerPoint and hyperlinks to do this. It’s a quick way to get an idea of how to structure the course content especially for interactive scenarios. Today it’s even easier than in the past. You can shoot digital photos or videos and insert them in slides. The elearning software is getting so easy to use that rapid prototyping only take a few minutes. I do this all the time at conferences when I’m at the booth. People come up and ask how to do specific things and in minutes we can build a quick interactive scenario. Don’t worry about everything being perfect. I’m famous for using stick people and blue boxes. The point is that a quick prototype helps you understand the flow and expose potential issues. The reality is that sometimes you don’t get access to the learners. This happened to me a few years back when I worked for a bank. I was building training for loan officers and wanted to talk to some to get a sense of how things worked in their work environment. The organization thought it would be a waste of time so I didn’t get permission to spend time with them. If that’s your situation then build the course and prior to final approval have some of the end-users take it. If you can, try to observe how they go through the course. Often this will expose so user experience issues like navigation or improper instructions. Try to solicit as much feedback as you can so that you can make adjustments prior to the launch date. It’s not ideal, but it’s better than launching a course that has issues. Plus, once you have something more complete, your client may not have an issue with you spending time with the end-user. Even if you can’t get a lot to pilot the course, try to get at least one person. I outlined some things to do in this post on what do to before your course goes live. The main point in all of this is that the goal is to create a successful course and one way to do so is to spend sometime with your learners to understand their needs and how to design a course that both meets your learning objectives and the needs of the learner. What tips do you have when it comes interacting with your learners as you build the course? Feel free to share them in the comments. April 15 & 16 (Chicago, IL). Updated! Register for one or both days. June 3 & 4 (San Francisco, CA). Updated! Register for one or both days. June 12 (Austin, TX). 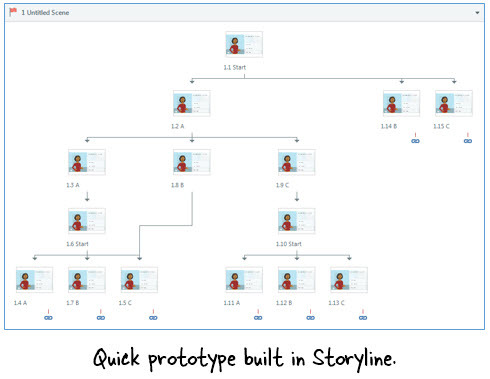 Use Storyline to Build Interactive E-Learning. Registration page coming soon. We’ll be hosting a series of two-day elearning workshops that focus on practical tips and tricks. You’ll be able to register for one day or two. Complete this form if you’re interested in presenting or want to submit an idea for a presentation. Registration pages coming soon. Learn: Want to learn more about elearning? Check out these articles and free resources in the community. Participate: Weekly challenges to sharpen your skills and show off what you’ve done. Great way to learn and get feedback. Resources: Free PowerPoint templates, free elearning templates, and free e-books. Updated all the time. The post Four Ways Your Learners Can Help Build Better Online Training appeared first on The Rapid eLearning Blog. Industry veteran to discuss important considerations for mobile delivery. Supercharge Your Instructional Design Career: New eBook! Building an instructional design career takes a lot of smarts, hard work, and dedication. Along with understanding the wheels of business and mastering the art and science of teaching adult learners, it also requires understanding the nuances of our industry, including working with our particular breed of clients and team members and keeping up with changing technology and all its manifestations. Not for the timid. Whether you have a salaried position at an organization or strike out on your own as a freelancer, your reputation as a creative professional is your ticket to interesting and fulfilling work. You now have a new resource to help you along that path. Catherine Davis, instructional design practice lead at SweetRush, and frequent contributor here at eLearningIndustry.com, just launched her debut eBook, How to Be a Rock Star Instructional Designer: Learn the Ropes from a Corporate Training Veteran and Supercharge Your Instructional Design Career. Catherine is a veteran instructional designer who has served in many capacities (in-house corporate, vendor, freelance) during her career, and for several years she has led the instructional design team at SweetRush. The e-book clearly brings together Catherine’s best practices, and in reading the book you feel as though you are being coached and mentored as part of her team. While the book is an excellent resource for those who are new to the e-learning industry and corporate training, instructional designers of all levels are sure to come away with tips to enhance their careers. I’ve written and read hundreds of blogs on instructional design, and I can say that Catherine has tremendous insights and actionable advice for instructional designers of all kinds. I particularly like that Catherine has shared her hands-on experience managing a team taking on an array of complex problems and situations. The book is organized into sections covering topics including landing great gigs, keeping skills fresh, working with subject-matter experts, and how to make yourself indispensable on the job. The “rock star” theme is woven throughout, starting with a clever infographic (“What Type of Rock Star Instructional Designer Are You?”) and continuing with creative imagery and icons. It also includes three additional resources—tools and checklists that you can use right away at your instructional design job. How to Be a Rock Star Instructional Designer: Learn the Ropes from a Corporate Training Veteran and Supercharge Your Instructional Design Career is available for free from SweetRush. Here are 5 practical steps to help you build and implement a great business eLearning strategy for your organization. It's safe to say that the most efficient eLearning programs are constructed with specific goals in mind. Before you start to prepare the learning materials, think well about what you'd like to achieve with this training. Analyze the need for a particular training course at your organization. If a training doesn't meet the strategic objectives of a business, it's not worth pursuing. Once you decide that the training is relevant to corporate goals, define its requirements – the specific focus or perspective. For instance, a marketing training can focus on social media marketing. How shall you design an eLearning course that will be interesting and efficient, and will bring a real value? Keep it relevant by offering high-quality content to engage and motivate your audience. Don't stray away from your topic and provide lots of information to make learners more knowledgeable about the subject. An interactive eLearning strategy offers many components, which are hard to build in other types of learning. Reality-based scenarios are perfect to show your audience how the knowledge offered at the course can be applied in real life. A short quiz or test at the end of each module will keep workers on their toes, allowing you to check which parts of the learning material should be repeated. eLearning resources are just technologies and won't bring you real benefits as long as they aren't situated in a learning environment. Among your top choices are blended learning environments, which combine live eLearning with self-paced learning, as well as other technologies and face-to-face elements. Sometimes, your audience might benefit from a live instructor – the interaction between learners, mentors and the learning community is crucial to add a sense of humanity to the learning process. A collaborative learning environment will be perfect for testing the knowledge gained through eLearning in group exercises. Keep your program on track. Most people think that training is finished when an event – a class, workshop or course – comes into completion. This is a major mistake – especially in business, where it's your job to make sure all the skills and knowledge gained during training are now being implemented in the organization. And this usually takes practice. The vast majority of workers will require a reinforcement or the newly gained skills will simply be lost. What you need is an active follow-up on the course, including group support or an automated e-mail sent to all training participants reminding them about their progress toward learning objectives set by the organization. Test and evaluate your eLearning strategy. Once the training cycle comes to an end, it's time to evaluate your business eLearning strategy and change its components to make it even more relevant and effective when used next time. Try surveys and employee feedback forms to gain a deeper understanding of the benefits brought by the course. Test your employees to see how much of the newly acquired knowledge they managed to retain. Have a close look at how the trained skills are being used on-the-job. If they are actually being incorporated into the daily routine of your employees, you can consider your strategy successful. Training is essential to keep your workers qualified and help them achieve new skills – following these tips will help you make the most from the potential of your business eLearning strategy. IETC 2015 & IRSEM 2015 seeks a diverse and comprehensive program covering all areas of educational technology. he program includes a wide range of activities designed to facilitate the exchange of expertise, experience, and resources with your colleagues. These include keynote and invited talks, full and brief paper presentations, panels, and round table discussion sessions. he convergence of recent technologies, web and mobile technologies, provides unique opportunities and an infrastructure for both face to face and online learning environments. However, specific environments for constructing knowledge are needed. In such environments, knowledge media should bring together the technology and learning theories to form meaningful settings for learners with different academic, administrative and support needs. IETC aims to provide an environment for experts to discuss the current state of the art for learning in schools, industry and universities. Virtual environments, CSCL, m-learning, e-training and e-learning will be topics of particular interest. IETC 2015 & IRSME 2015 conference is supported by many universities and organizations, and it is venued by National Central University where the academic culture has long been a tradition. Further, the SSCI Indexed scholarly Journal TOJET sponsors the event through publishing selected papers. As it is the tenth annual event, IETC series has already formed a large, multi-national and friendly community of colleagues who love to share ideas. IETC invites you to submit proposals for papers and poster presentations. IETC 2015 & IRSEM 2015 will be held at the Istanbul University Culture and Convention Center on May 27 - 29, 2015.